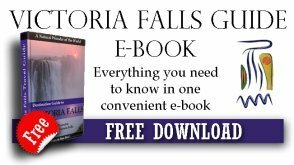 Victoria Falls is famous for being one of the Seven Wonders of the Natural World, attracting thousands of visitors a year. One of the great attractions is the almost permanent rainbows that the spray creates. Photographing these can be a challenge especially at certain times of the year. Sunrise and sunset is also a special time to photograph the falls. 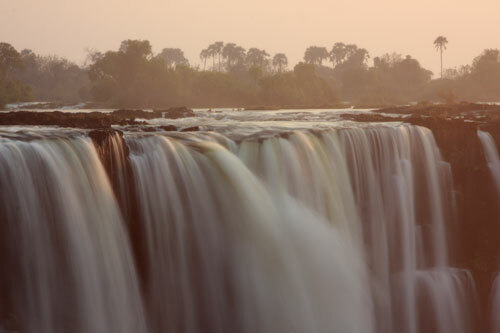 On a photographic tour of the falls, view the Victoria Falls with your own private photography guide who has spent many years learning the tricks and techniques that these unique conditions require. You will be tutored one-on-one throughout the whole tour and learn tips, techniques, be shown angles and viewpoints that suit your photograph as well as advise on camera settings and equipment. Helping you get the best possible photos you can. 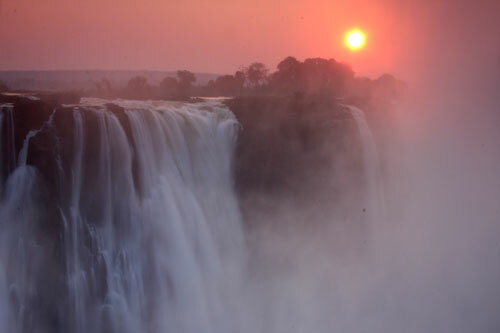 There are two photographic tours - one is seasonal as the Victoria Falls tends to also change throughout the year. 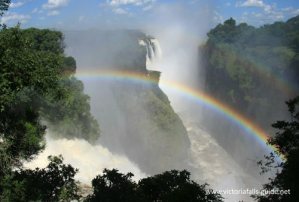 This tour is focused on photographing the Victoria Falls and its famous Rainbows. As the spray (water vapour) rises out of the gorge below it catches the light and create beautiful rainbows. But this will only happen at certain times of day and only at certain viewpoints. In this tour you will be shown the best viewpoints to photograph the rainbows from. • 1pm: Meet at the National Parks Entrance Gate, this will allow us enough time to view the falls and make our way to the best viewpoints. • 1pm to 2:30pm: Spent photographing various viewpoints that have been picked out as the best to photograph rainbows from. • 2:30pm: End of tour (a lunch at the Rainforest Cafe is optional).